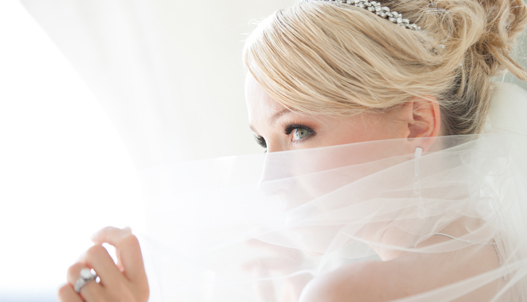 We suggest scheduling your bridal hair and makeup trial 3 months prior to your wedding date. Bridal trials can take anywhere from 2 to 3 hours, so make sure you have a significant amount of time to discuss thoroughly with your stylist what exactly you want. Bridal Trial pricing is strictly at the discretion of the stylist/makeup artist and is a separate cost which is not included in your bridal package. All pricing for trials will be discussed upon consultation before your trial begins. The bridal package price discussed during the bridal consultation requires a 50% deposit on the day of consultation and full payment no less than 2 months before the date of the wedding. All bridal packages include tax and 18% gratuity. Any additional products or services rendered outside bridal package must be paid for in full on the date of the service/wedding. A 50% deposit is required to reserve wedding party services. The deposit is used to reserve specific stylists on the date requested for your wedding and will be deducted from your package total as payment for the bridal package. The deposit is nonrefundable and non-transferable. We also require a credit card to be kept on file for all bridal packages. This credit card will only be used for incidentals such as late arrivals, no-shows, cancellations, etc. We ask that you arrive fifteen minutes prior to your scheduled service time. In order to accommodate service requests and appointment time for you and your bridal party, it is important that arrangements are confirmed with our bridal coordinator at least 30 days prior to the event. We understand that unforeseen situations can occur in planning of any occasion and we will make every effort to meet your needs. Please note, however, that our salon services are often booked quite far in advanced and changes within 30 days may not be possible based on availability. We greatly appreciate your efforts to finalize all service needs early in your planning process. Service time will be confirmed approximately one week before the scheduled services, and a courtesy call will be made the evening before the scheduled appointments. Any appointment changes and/or cancellations made less than 24 hours prior to the start time of the scheduled service(s) will be treated as a “no-show”. A “no-show” is charged to the credit card on file for the full service amount. Any bridal packages booked before or after normal hours of operation will be charge $100. For more information or a bridal contract, please contact Core Salon Management.